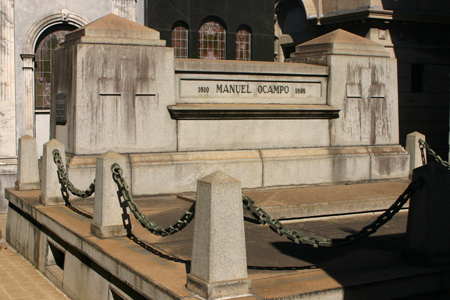 As part of an aristocratic family & a successful structural engineer, Manuel Ocampo increased his family’s fortune by constructing railroad bridges in Argentina. He had six children… all girls. The oldest, Victoria, & the youngest, Silvina, became major figures in 20th century Argentine literature. Like most elite families in Buenos Aires, the Ocampo daughters were taught French as their first language & also learned English at any early age. The family traveled to France for extended stays & lived in Paris for two years. After the death of her father, Victoria used the family fortune to establish the literary journal Sur in 1931. 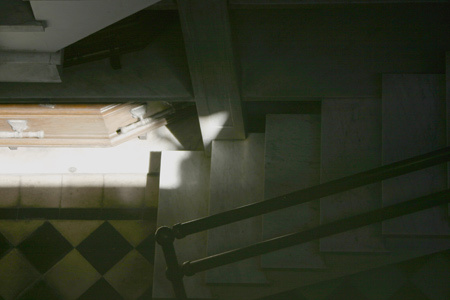 It grew to become one of the most important outlets for upcoming, Latin American authors. Sur also published European writers & established a reputation for having some of the best translations into Spanish. Among those presented to an eager Argentine audience were T.S. Eliot & Henry Miller. But the most important writer in Sur was Jorge Luis Borges, whose career was greatly aided by the patronage of Victoria Ocampo. Victoria was an unconventional woman of her time. A strong-minded feminist, she felt stifled by traditional women’s roles. Victoria married young as expected, but the union quickly turned into disaster when she fell in love with her husband’s cousin. Divorce was not allowed in Argentina during that time, so she conveniently moved to a different bedroom. The in-family love affair didn’t last, & after her husband’s death Victoria never remarried. However, she had many lovers, particularly foreign intellectuals. As the matriarch of literary culture in Buenos Aires, Victoria hosted lavish parties at family residences & often provided housing for foreign writers to spend months in Argentina. Among the lucky few were a Nobel Prize winning Indian poet & the acclaimed English author Graham Greene. Albert Camus also was a friend of Ocampo’s. Victoria’s sister, Silvina, is also buried here who married the best friend of Borges, Adolfo Bioy Casares. Biography kindly provided by Jeff Barry, author of Buenos Aires: City of Faded Elegance. Original copies of Sur can still be found for a few pesos at many of the used bookstores along Avenida Corrientes. 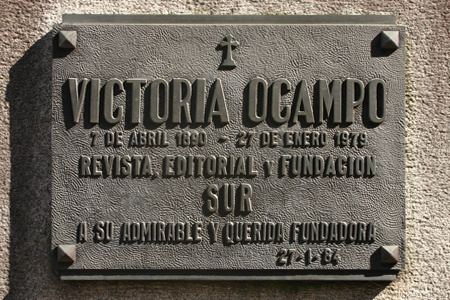 estaba por escribirte para preguntarte si Victoria Ocampo está sepultada en Recoleta y justo encuentro este post, pero no me queda claro si toda la familia está alli o solo el padre, por eso de que solo su nombre está puesto (¿será por esa costumbre argentina de hacer todo tan “patriarcal”, como que solo el hombre de la casa es la cabeza de todo, hasta en la muerte?). Tampoco encuentro la referencia de su ubicacion en el excelente mapa del cementerio que hiciste, ¿me podrias indicar dónde está?. He leido mucho sobre Victoria, es una figura fascinante, a mi entender muy poco valorizada por su inmensa obra. Borges mismo, que se llevaba bastante mal con ella, llegó a decir que le debía mucho como argentino, y yo coincido. Sí, Victoria está sepultada ahí… con toda la familia. Hay varias placas que la honra y tambien su hermana, esposa de Bioy Casares, esta presente. La cripta familiar queda justo en la zona atras de Aramburu/Pellegrini. Ocupa toda una “manzana” asi que es bastante facil de encontrar. Es poco decorativo pero grande. sabés si Alfonsina Storni está sepultada tambien en Recoleta? Creo haber leido que sus restos tuvieron varios traslados pero no sé dónde quedaron definitivamente. Hola Diego – No, Storni no está en La Recoleta… se encuentra en un lugar privilegiado en Chacarita, con mucha gente famosa como Aníbal Troilo y Quinquela Martín. Si me acuerdo bien, Luis Perlotti hizo su monumento ahí. Saludos!